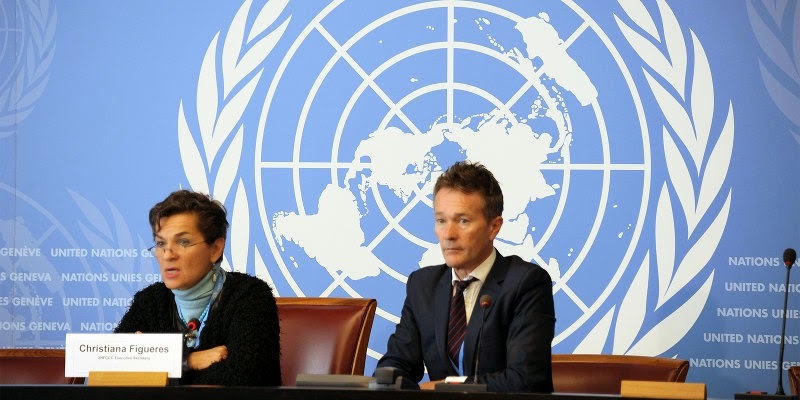 Will Australia be a spoiler or lifter for #Paris2015 global #climate agreement? I will be going with my teenage daughter who will also help me blog the event and provide a teen perspective, a voice for the future. I hope to report in particular on Australia's negotiating position as part of covering this event. See end of article in how you can support John through crowdfunding to cover some of his expenses. Foreign Minister Julie Bishop failed to deliver any change in Australia's position at the one day UN Climate summit in New York in September 2014 while 400,000 people marched in the streets of New York and more in Australia. Her remarks after President Obama's State of the Union (SOTU) address in January this year were both evasive and untruthful on Australia's climate action target. Since then, there has been a major agreement between USA and China regarding peaking of China's emissions. While there is no US-India deal on climate change, India and the US did agree on some energy deals including support for India's plans to roll out 100GW of solar power. "There's been a seachange in the dynamics here thanks to the open and consultative approach of the Co-Chairs. Countries also came ready and willing to work. 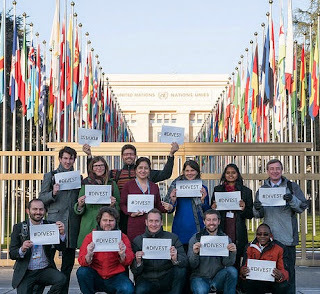 The spirit of Geneva needs to be kept alive, as we move to on to deal with crunch issues like the need to scale up financial support for action and how to treat richer and poorer countries fairly, and loss and damage - which has the potential to be a make or break issue for Paris." said Julie-Anne Richards, from the Climate Justice Programme. Tasneem Essop, WWF head of delegation to the UNFCCC, stressed that attention should turn to political leaders "as they are the single most important influence that will shape the final outcome of a new global climate deal in Paris". Jamie Henn, Strategy and Communications Director of 350.org said these negotiations need to send a clear signal to investors that most exploitable carbon reserves need to stay in the ground unburnt. 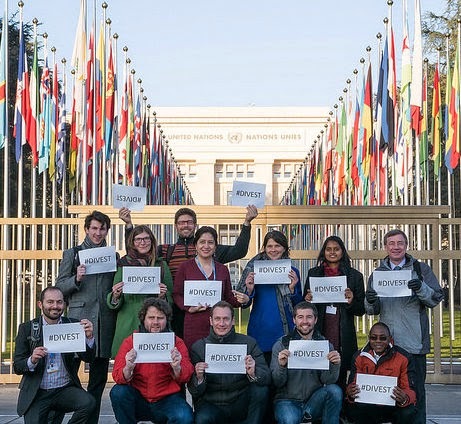 "As the talks here in Geneva come to a close, people around the world are taking part in Global Divestment Day, a worldwide effort to move money out of the fossil fuel industry and into a clean energy future." Jennifer Morgan, Global Director, Climate Program, World Resources Institute commented that the Geneva outcomes provided a very promising start, but that much hard work remains, that "the palpable positive spirit coming out of Geneva is a much better measure of progress than the current length of the negotiating text."